Chinese aggression in the South China Sea is causing Japan to strengthen its alliance with the US and build new and unlikely partnerships with some traditional enemies. Building a stronger defensive alliance with Japan is the least challenging foreign policy task faced by the Obama administration. It is also the easiest foreign relationship from the point of view of Japanese Prime Minister Shinzo Abe’s administration. Modern Japan and the US share similar political and social values, and both countries are strongly independent and democratic in structure and outlook. At times in the past, trade imbalances and the vast US presence in Okinawa have stressed the US-Japan relationship, but those issues never prevented strong military and diplomatic cooperation. The two countries have shared a consistently solid relationship since the founding of modern Japan in 1947. To understand the US-Japan relationship, we should consider Japan’s geographic and political dilemmas. Japan imports most of its fossil fuels and about sixty percent of its food. Free navigation of the seas is critical to Japan’s prosperity, and even to its very existence. To varying degrees Russia, China, and North Korea all pose serious threats to Japan’s national security. In a sense, Japan is the “Israel” of the Pacific. They have no allies in their region. Fortunately, this may be changing. China remains bitter for the brutal invasion and occupation carried out by Imperial Japan during the first half of the twentieth century. 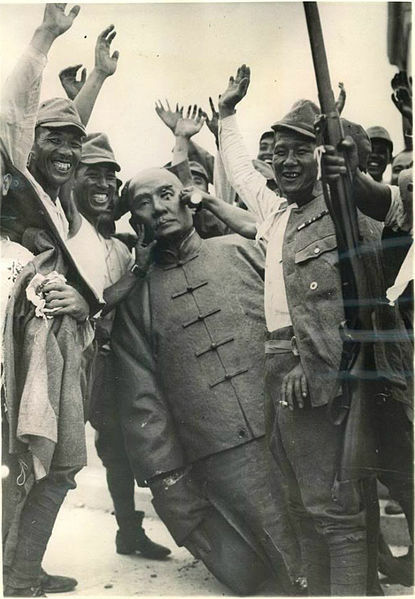 Japanese Soldiers with Broken Statue of Chinese Leader Dr. Sun Yat Sen.
China’s communist government has found it convenient for its political mythology to foment hatred toward Japan rather than seek reconciliation. Fifty years ago, Japan could afford to be less concerned with China’s hatred. As the People’s Republic of China has begun to overcome its long history of inept and self-destructive government, it has been able to develop its massive population and considerable natural resources. Having established a stronger economy and a stronger military, China has made itself more “relevant” in the Pacific. Unfortunately for them and for everyone else, they have chosen to seek “relevancy” and legitimacy through increased aggression toward their neighbors. As China’s military strength and aggressive attitude grows, so grows Japan’s concern for self-defense. The one challenge that remains in US-Japan relations is Japan’s poor relationships with other US allies in the Pacific. The US has had a close, though rather one-sided, relationship with South Korea since WWII. That relationship has been based on the US’s willingness to defend South Korea against its communist neighbors. While North Korea remains a menace and a constant nuisance to both South Korea and Japan, until recently that has not been enough motive to bring the two nations closer. Both South Koreans and North Koreans remain angry over the Japanese occupation prior to and during WWII. However, there are now signs of a thaw in relations between South Korea and Japan. To a degree, North Korea’s nuclear threats and China’s increasing aggression are motivating Japan and South Korea to cooperate more on issues of trade and defense. It may take several more decades for South Koreans to form a more favorable view of Japan, but if the Japanese exercise some diplomatic skill, they may eventually be able to change their image in South Korea. This would enable more effective military cooperation against the growing threats from the North Koreans and China. A similar three-way dilemma exists between Japan, the Philippines, and the US. For the same historic reasons, Japan remains unpopular in the Philippines while the US maintains close relations with both countries. As with South Korea and Japan, the US has long hoped for and attempted to promote closer relations between the Philippines and Japan. In the case of the Philippines, there have been strong signs of growing cooperation with Japan. Recently, a Japanese warship took part in naval exercises with the US and the Philippine navies. Even as recently as two years ago, the presence of a Japanese warship in Philippine coastal waters would have been completely unwelcome in the Philippines. In another clear sign that China’s aggression is forcing Japan and the Philippines together, Japan is selling jet trainer aircraft to the Philippines. This sale is a major event in Philippine-Japan relations. By quietly acting as a go-between, the US has been able to help Japan begin to build better relations with its Western Pacific neighbors. In military terms, relations between Japan and the US are very good and getting better. 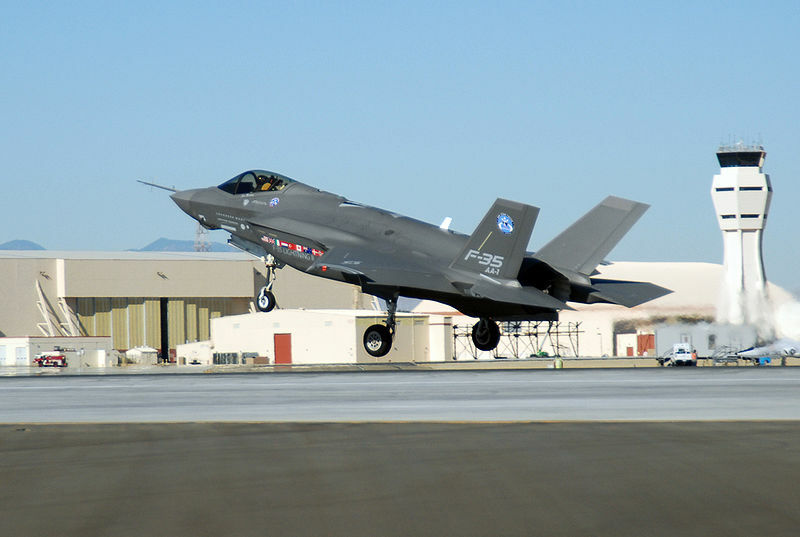 Japan continues to allow the US to maintain considerable air and naval forces in Japanese territory, and the working relationship between US and Japanese forces is excellent. Senior military officers from both nations have a high degree of trust in each other’s ability and integrity. When the US and Japanese militaries make an agreement, both sides are confident that the agreement will be carried out. Perhaps the single greatest impact thus far from China’s growing aggression in the South China Sea can be seen in Japan. The Japanese constitution limits Japan to a relatively small self-defense force. While the Japanese self-defense force is small, it is high in quality. Whenever the Japanese government has committed to building ships for its maritime self-defense force, the ships have been well designed, well built, and delivered on time. Japanese politicians and voters are starting to consider expanding their military both in budgetary and doctrinal terms. In budgetary terms, Japan has made small increases in expenditures, and they are now developing their own stealth fighter. 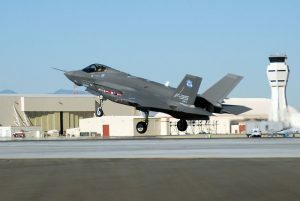 This new stealth fighter is in addition to Japan’s participation in the expensive US led F-35 program. In doctrinal terms, Japan was willing to participate in naval exercises in the Philippines. Until recently, the Japanese government and Japanese voters would have considered such a deployment unacceptable. The Japanese voters still have a deep aversion for involving themselves in another war of aggression, but they are beginning to accept that the security of the Philippines directly impacts their own national security. Over eighty percent of Japan’s oil comes from the Mideast. Since the Fukushima nuclear power plant leak disaster in 2011, Japan’s oil import requirements have increased. Free navigation of the international waters of the South China/West Philippine Sea is even more critical to Japan than it is to the Philippines. The US has announced that the linchpin for US strategy in the Pacific will be the Philippines. In reality, that only appears to be the case because of how little Japan needs to improve its self-defense as compared to how desperately the Philippines needs to build a credible military. For diplomatic reasons, both the US and Japan prefer to publicly keep the focus on the Philippines. 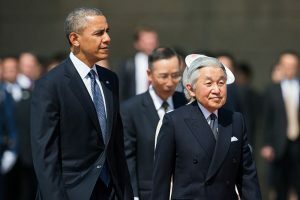 The relationship between Japan and the US has evolved in to one of equality, shared values, and genuine mutual respect. Whatever problems might arise between the US and Japan, the relationship will remain strong. The Japanese people have no desire to create a Japanese hegemony in the Pacific, but China’s expansionist agenda has forced them to accept a greater role in international affairs in the region. In our next episode, we will consider the changing US-Malaysian relationship.